At the Amazon Devices event, the Echo Sub was announced. The Echo Sub is a voice-enabled premium speaker that appears to compete head-on against the Apple HomePod, the Google Home Max, and the Sonos One. Like the other new Echo speakers, the Echo Sub is decorated with a mesh cloth. The Echo Sub is available in several different colors. And it has a 6-inch 100W down-firing speaker, which can be set up in stereo. 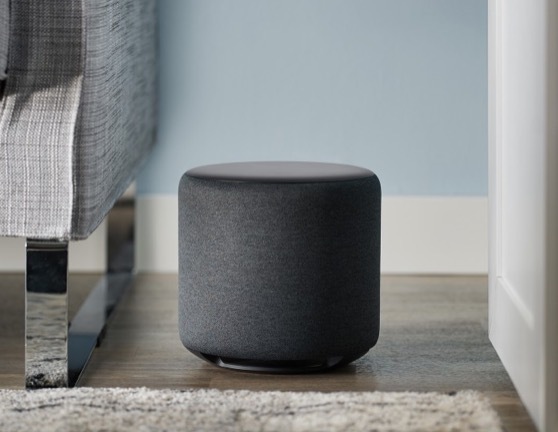 Amazon said that it is easy to set up by wirelessly connecting it to the Echo devices. The Echo Sub retails for $129.99 and it will be shipping later this year.